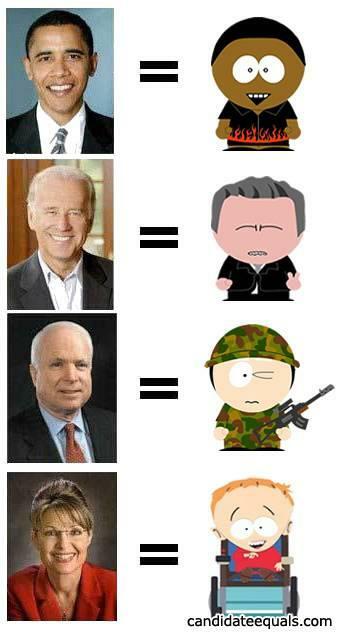 What do Barack Obama, Joe Biden, John McCain and Sarah Palin equal? Find out with these pictograms what your fellow voters think of the candidates. Enjoy our free collection of Candidate Equals photos and feel free to make and submit your own. This site is meant to be humorous so leave your party affiliation at the door and enjoy! Remember to vote Nov 4th! Chime In, Add Your Comment Now! What Do You Think Of This Canidate Equals? THE WAR ON WOMEN CONTINUES. ©2008-2019 Candidate Equals. All rights reserved.